Real Madrid won at Deportivo’s home 0-2 thanks to Cristiano Ronaldo, who scored both goals. As Barcelona won also their match against Granada, Real victory was useless. The first gol arrived in the 7th minute. 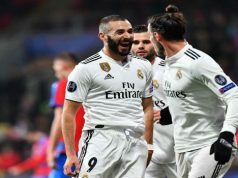 Bale passed to Benzema after dribbling Manuel Pablo, Karim tried to shoot but he finally passed to Cristiano and he scored in front of the goal. Then, at minute 24 Ronaldo scored the second goal with a header. 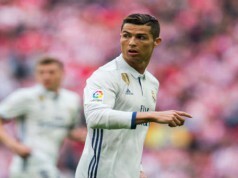 If he Hadn’t hit the posts twice, Cristiano would have scored four goals. He was trying to score more goals but he was sustitute in the second half, so Luis Suárez was awarded with the Pichichi (Liga top scorer) of this season. 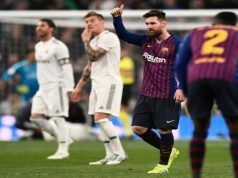 In the second half, Keylor saved two goals but the game has not the same pace because everybody knew Barcelona was winning at Los Cármenes. Now it’s time to think about the Champions League final in Milan. Next articleZidane: "We are a little disappointed"